This week we sat down with Bobby M. to discuss a big change for him at Fox Plumbing & Heating. 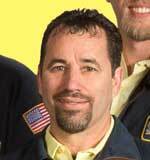 Bobby is seated at his desk in our trademark yellow and blue Fox Plumbing & Heating uniform. It’s neatly pressed, clean and his shirt is tucked in. He is ticking all the boxes of the model Neighborhood Plumbing Professional for Fox Plumbing & Heating. Q: What’s the big news? That’s right, one of the best and most trusted plumbers in Seattle and King County is moving from plumbing to heating, venting and air conditioning. As of the middle of May, Bobby M. is our newest manager at Fox Plumbing & Heating. With over 28 years of experience, Bobby has owned his own plumbing company in central California and has been an amazing addition to the family here at Fox Plumbing & Heating. He also won Plumber of the Year in 2014 for Fox. His positive attitude, upbeat personality and constant professionalism is why Bobby is the perfect person to be a leader at Fox. Q: What are your plans for the HVAC team? Q: What have you learned in your role as a plumber that you hope to bring to the role of HVAC manager? Bobby is keeping with Fox Plumbing & Heating’s mission statement, to provide our customers with premium service every time. And it’s our goal to treat our customers like friends and family, and create lifelong relationships with them. Q: What’s your biggest challenge for HVAC? While Bobby admits it might not be the biggest challenge, but keeping healthy and in shape is a huge part of ensuring that he’s at work and on time every morning. 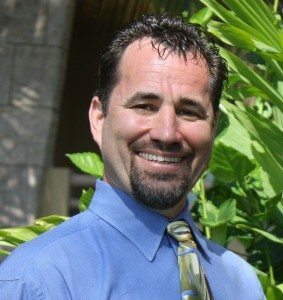 Q: What are your goals for HVAC over the next 12 months? Bobby seems to be pretty on target with the hopes and expectations of Fox to help reinforce the high quality of service that we provide to our friends and neighbors. We’ve been growing over the last few months with the amount of people who want to utilize Fox’s great customer service and premium work for HVAC. And now we have the right person in the right position who is sure to succeed. Q: Do you have any concerns about how working with HVAC customers is different than plumbing customers? The decision to promote from within comes from David’s desire to ensure that our team is the best of the best. David has teamed Bobby with Chris H., senior HVAC service specialist to create a winning team. Fox Plumbing & Heating is always looking for professionals and leaders seeking opportunities to grow and develop their skills in our industry.